Advancements in medical devices over the past few decades are nothing short of astonishing. Many physical disabilities and injuries that once severely limited an individual’s quality of life can now be alleviated through innovative medical products, and surgeries have increased in effectiveness and efficiency because of upgrades to operating room equipment. Unfortunately, not every implementation of a medical device goes according to plan, and some products make a bad problem worse due to faulty design, production, or insufficient testing. The U.S. Food and Drug Administration (FDA) has recorded 5.4 million reports of “adverse events” regarding medical devices in the past decade. These reports include medical implants for knees and hips, pacemakers, IVC filters, hernia mesh, vaginal mesh, and spinal disc replacements. Improper material selection, chemical contamination, deficient molding of plastic components, poor design, inept manufacturing or assembly, and stress overload can all lead to medical device malfunctions. These can occur independently or in tandem, leading to a chain of events that results in device failure, which can threaten patients’ health and well-being. The 2002 Medical Devices User Fee and Modernization Act gave the FDA the power to apply the “least burdensome route” to device approval. As a result, 99 percent of medical devices never provide clinical testing data. A manufacturer must submit a 510(k) log of modifications that in the end demonstrates “the device to be marketed is at least as safe and effective, that is, substantially equivalent, to a legally marketed device.” That does not take into account that previous problematic devices may be used to illustrate that substantial equivalence. Random controlled trials of medical devices are uncommon, and many tests that are conducted are prone to bias. The FDA applies a lesser standard (called reasonable assurance) than what is applied to drugs awaiting approval (substantial evidence). That means devices often get to market using data that would not suffice for drug approval, even though they might treat the same condition. 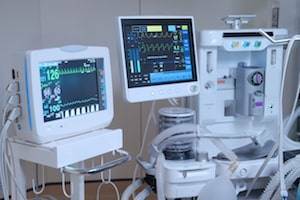 If you were injured while receiving medical treatment due to a defective medical device, the experienced attorneys at Walsh, Knippen & Cetina, Chartered can help. We partner with medical experts and biomedical device manufacturing analysts to assess each case. If you have a valid claim, we will file a defective medical product lawsuit to seek the compensation you deserve. For a free consultation with a DuPage County medical malpractice attorney, call 630-462-1980 today.